However you interpret the May 12 Pew Research Center report, “America’s Changing Religious Landscape,” you have to give it credit for waking us to some fundamental changes that have been taking place in our society. “The Christian share of the U.S. population is declining,” the report said, “while the number of U.S. adults who do not identify with any organized religion is growing.” There is some disagreement about the meaning of the numbers, but most people agree: The changes are significant, and they are telling us something we need to hear. The report and the discussion about it reminded me of the 1960s lyrics, “There’s something happening here / What it is ain’t exactly clear // It’s time we stop, children, what’s that sound / Everybody look what’s going down.”1 The report, I think, is an invitation to stop and look. What is that sound? What’s really happening here? The change is not new, of course; people have seen it coming for years. What’s new is public recognition of the scope of the change and its impact on how we understand ourselves. Is this change a dying gasp of the familiar expression of faith we’ve known for so long? In the Book of Revelation, the vision of the new Jerusalem, that perfect expression of God’s fulfilled reign on earth, is of a city with no temple, no steeple, no recognizable institution of religion (Rev. 21:22). Are we witnessing the emergence of the new Jerusalem, where the church is no longer necessary? Or could it be again “a sound like the rush of a violent wind” (Acts 2:2) filling this house where the family of faith makes its home and moving us toward some new and radically different incarnation of Christ? 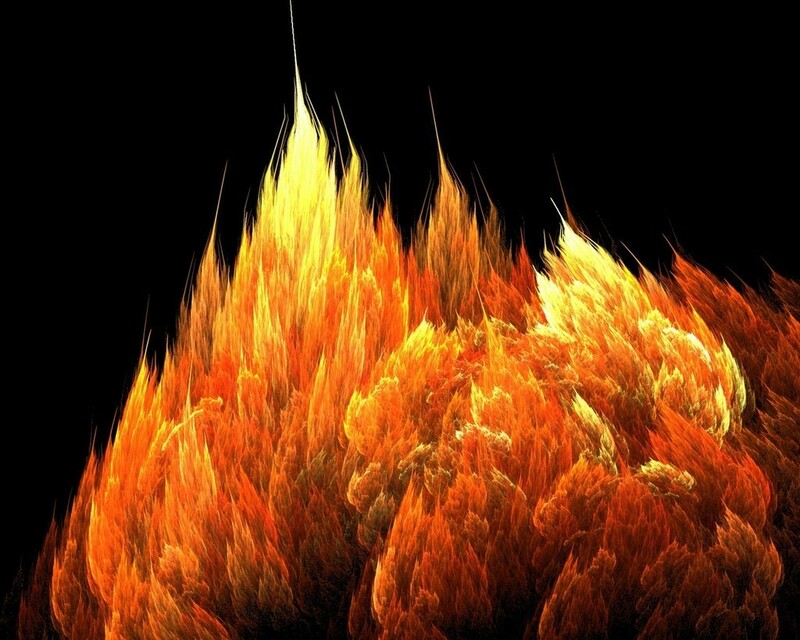 Could it be prelude to a new Pentecost, a new birth of the Holy Spirit? Now I’ll tell you I don’t know the answer to those questions. I’m an average Methodist pastor trying to open up a life-giving word from God to a people, including me, who are struggling with life. I’m trying to find this puzzle’s missing piece, the one that would make the picture of this life come into sharper focus. I think the Pew Center report helps illuminate the puzzle, but it doesn’t solve it for me. It does, however, point out some of the pieces that might help bring sense to what’s going down. One piece of the puzzle, I think, is the similarity between the church’s first Pentecost experience and our experience today. Jesus’ first followers were grieving and confused because one whom they loved and who had changed their lives was gone, dead. They had heard reports that he was alive again, some said they had even seen him and talked with him. But they were stuck in that awful place of transition, the place where the past has been lost and the future has still to be won. And “stuck,” I think, is exactly the right word. They were still in Jerusalem, still close to where they last saw their Master and experienced his death, still close to where their lives had been interrupted and put on hold. John’s gospel tells us they hid behind locked doors for fear that death would come after them, also. Perhaps they were not literally hovering around the grave, but neither had they gone too far from it. Did they think they would find Jesus close to where they had last seen him? Something for us in the church seems to have died or at least is suffering mightily, whether it’s mainstream American Christianity in general or this congregation in particular. We no longer have a central place in society, and we seem to be moving further toward the fringe. We enjoy neither the credibility nor the influence we once had. Our numbers, both of people and of dollars, continue a debilitating decline. And we stay in Jerusalem. We stay near the place where we last experienced vitality and vigor. We hide behind the locked doors of church as usual, church the way we’ve always known it, trying to defend against the threat of change and revive what we recall of the church in its heyday. Maybe that’s not a bad place to be. Maybe it’s a good thing to be where we are, to truly be present to this moment, to our condition, to our grief over the loss of what we once knew as familiar and vital and life-giving. And maybe it’s okay to do what grieving people do: express the anger that bubbles up from our deep loss; look for something or someone to blame – pastors or lay leaders or denominational bureaucracies or social demographics. Maybe it’s okay in this moment to be adrift and irritable and defensive. Maybe it’s okay to stay in Jerusalem for now. Certainly I need a faith like that. I need a faith like Jesus had, one that persists in sowing seeds even though most of it comes to nothing or less than nothing. I need a faith like the prophet Habakkuk. “Though the fig tree does not blossom,” he wrote, “and no fruit is on the vines; though the produce of the olive fails and the fields yield no food; though the flock is cut off from the fold and there is no herd in the stalls, yet I will rejoice in the Lord; I will exult in the God of my salvation” (Hab. 3:17-18). I like to think that’s how those early disciples waited in Jerusalem on their first Pentecost. They waited together, stayed together, the scriptures tell us, not running away to where they thought things would be better, and “constantly devoting themselves to prayer” (Acts 1:14). Together they studied the scriptures to interpret their present condition and to guide them as they worked out their faith (Acts 1:15-26). It was in constantly praying together and studying the scriptures together that the early disciples prepared the way for their spiritual rebirth on that first Pentecost. It was in regular community prayer and Bible study that the first Methodists became known for their enthusiasm and John Wesley found his heart strangely warmed. I can’t help but think that’s where the church today will find its renewal as well. notes — 1. Stephen Stills, “For What It’s Worth.” ▪ 2. John Wesley, “The Almost Christian,” The Works of John Wesley, vol. 1, ed. Albert C. Outler (Nashville: Abingdon Press, 1984), 131.